the worldwide leader in IT and business skills training. my online poster art last year and remembered me when this project came up. 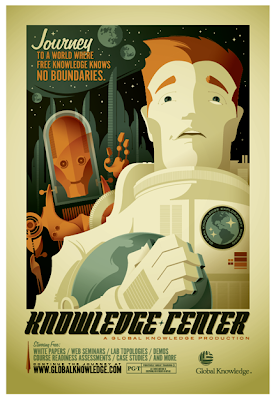 poster that i illustrated and is meant to recall a 1960's sci-fi flick. post them on my sites! This is incredible. I love the robot! Great work, man.